It also said it plans to pay $38 billion in repatriation tax. CNBC estimated that with the new repatriation tax rate of 15.5%, that means the company would bring nearly all its overseas cash, or about $245 billion, back to the United States. The company said in a statement that it would "establish an Apple campus in a new location," which it would announce "later in the year," that "will initially house technical support for customers." Apple declined to give more information on the location of the new campus. Apple says it is building a separate new facility in Reno, Nevada. Apple also says it will make a "direct contribution" of more than $350 billion to the US economy over the next five years through making new investments and purchasing materials from American companies. Apple said it estimates it will spend $55 billion this year with American suppliers and manufacturers, with payments to over 9,000 companies. Apple said in the announcement that expects a tax bill of about $38 billion in repatriation tax payments because of changes from the new tax law. Apple invests and purchases parts from American companies with its Advanced Manufacturing Fund, which has given money to Finisar, a laser company, and Corning, which makes the hardened glass that iPhones use. Apple said on Wednesday that its fund had increased to $5 billion from $1 billion. One of President Trump's top priorities is striking deals with American companies so he can claim that his administration is saving or creating American jobs. 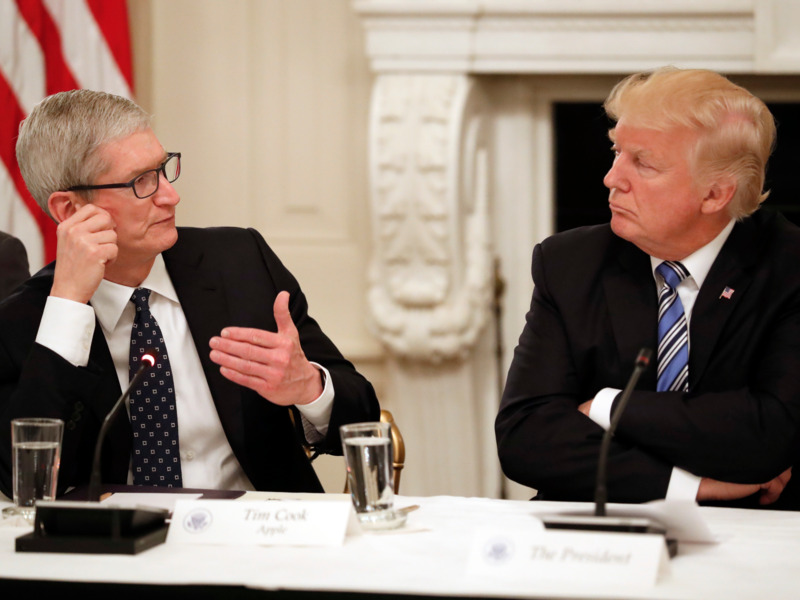 Apple does most of its manufacturing in Asia, so it's become a target for Trump, who has blamed the company for the long-running trend of manufacturing moving overseas, and who has encouraged Apple to build factories in the US. That's why Apple makes such a big deal about it supporting American manufacturing and the fact that many of the companies that supply parts for the iPhone and other Apple products have factories in the US. Apple reportedly has asked its big Asian manufacturing partners, like Foxconn, into looking into building Apple products domestically. Cupertino, California -- Apple today announced a new set of investments to build on its commitment to support the American economy and its workforce, concentrated in three areas where Apple has had the greatest impact on job creation: direct employment by Apple, spending and investment with Apple's domestic suppliers and manufacturers, and fueling the fast-growing app economy which Apple created with iPhone and the App Store. Apple is already responsible for creating and supporting over 2 million jobs across the United States and expects to generate even more jobs as a result of the initiatives being announced today. Combining new investments and Apple's current pace of spending with domestic suppliers and manufacturers -- an estimated $55 billion for 2018 -- Apple's direct contribution to the US economy will be more than $350 billion over the next five years, not including Apple's ongoing tax payments, the tax revenues generated from employees' wages and the sale of Apple products. Apple works with over 9,000 American suppliers -- large and small businesses in all 50 states -- and each of Apple's core products relies on parts or materials made in the US or provided by US-based suppliers.